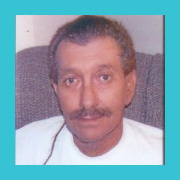 Douglas L. Severs, 61, Pleasant Hill, MO passed away October 27, 2011. Memorial services will be held 6:30 PM, Tuesday, November 1, 2011 at Colbern Baptist , Lee’s Summit, MO. Mr. Severs was born August 20, 1950 in Afton, OK the son of John Wellington and Eva Ellen (McBee) Severs. He was an Army Veteran.